For those already on the top of their property ladder, they may find that reversing course and heading down is the right decision for them. People downsize for a variety of reasons, from the “empty nest” syndrome to convenience or hardship. Here are a few things to consider as you contemplate moving to a smaller home. What is the reason for your downsize? Strong emotional ties to the family home are among the main barriers to downsizing. 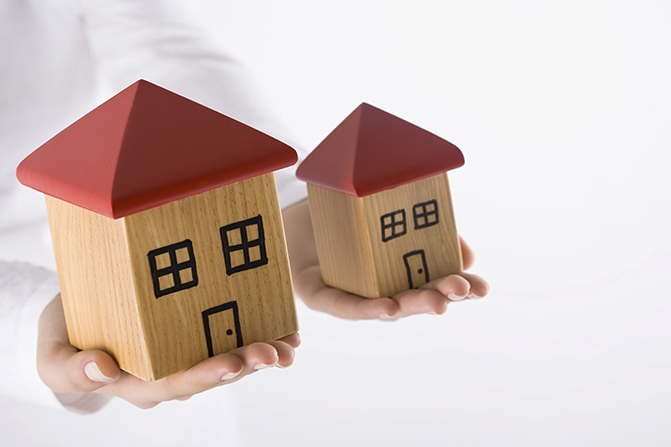 Choosing where to move and the style of property also can be challenging decisions. Start early and pack small amounts at a time. During the downsizing process you may be surprised at how attached you have become to your possessions and how difficult it might seem to part with them. A good tip is to start getting rid of your items a few months before your move so donate, recycle, eBay and give away some of those items you really don’t need anymore. This will make the move much easier and your smaller home less cluttered. 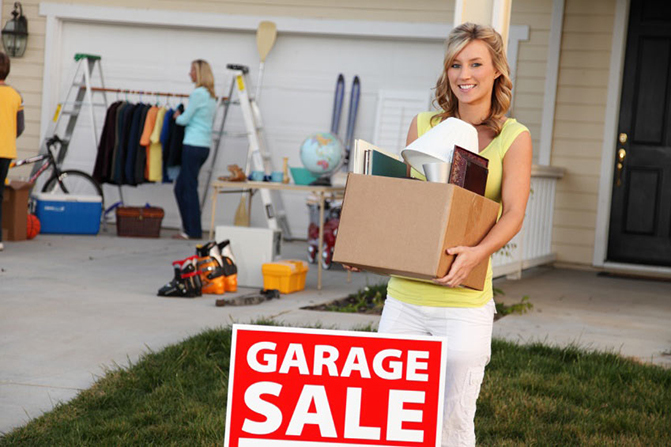 Host a garage sale to help “downsize” the amount of stuff to move. Decorators recommend sketching floor plans for your new home to see where all your current furniture will fit. You shouldn’t wait until you move in to discover that there’s just no room for that armoire or extra stools. Have you downsized recently and have tips that we didn’t cover to share? Let us know in the comment section below!